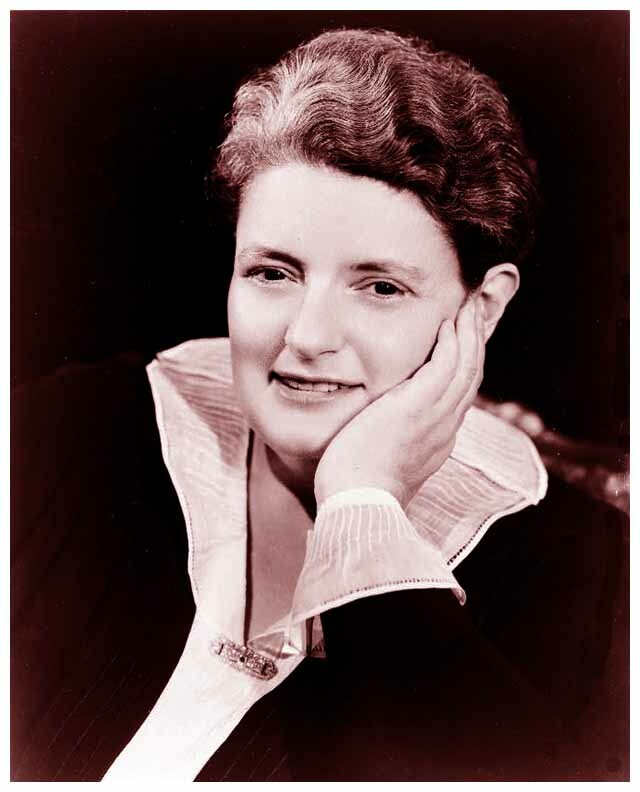 Mary Margaret McBride, the highly successful radio commen­tator and journalist, reached the height of her popularity and influence in the twenty turbulent years from 1935 to 1955. During the run of her daily radio program, she interviewed over 1200 people, ranging from fan dancer Sally Rand to President Harry Truman. She refined a unique, unscripted interview style noted for its folksy ease and informality which enabled her to skillfully draw out fresh and spontaneous responses from her guests. 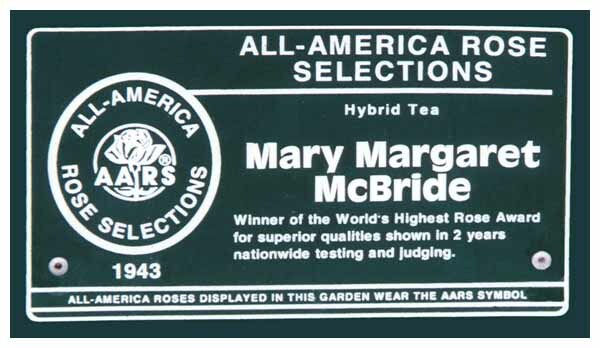 The recordings in the Mary Margaret McBride Collection at the Library of Congress contain hundreds of interviews with leading public and political figures of her time: entertainers, other radio personalities, authors, educators, doctors, adventurers, restaurateurs, and average folks who had interesting stories to tell. Her subjects provide a highly personal perspective on American life during the dramatic and quickly changing years from the Great Depression through World War II, its after­math, and the beginning of the Cold War. A brief list of her interview subjects includes Eleanor Roosevelt, Governor Thomas E. Dewey, Frank Lloyd Wright, Bob Hope, Carl Sandburg, Margaret Bourke-White, Zora Neale Hurston, Tennessee Williams, Joe DiMaggio, a man leading a campaign to improve teenagers’ driving skills, a female test pilot, the woman who invented crossword puzzles, and the American Mother of 1942. A graduate of the University of Missouri School of Journalism in 1919, she began broad­casting for WOR (New York) in 1934 and attracted millions of listeners, mostly women, with her personal confessions and interviews with noted personalities. She also wrote for such magazines as Cosmopolitan, The Saturday Evening Post, and Good Housekeeping, authored a newspaper column for The Associated Press, and wrote numerous books including How Dear To My Heart in 1940. She died April 7, 1976. Listen to Ms. McBride during a portion of her NBC broadcast of August 10, 1945. At the Carlsbad, California Armstrong Nursery. 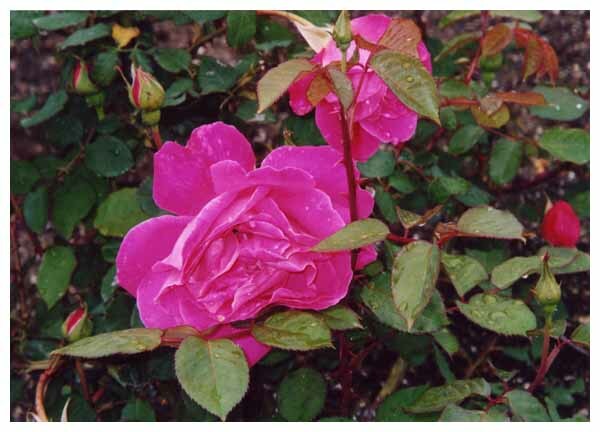 The tea rose named in Ms. McBride’s honor. 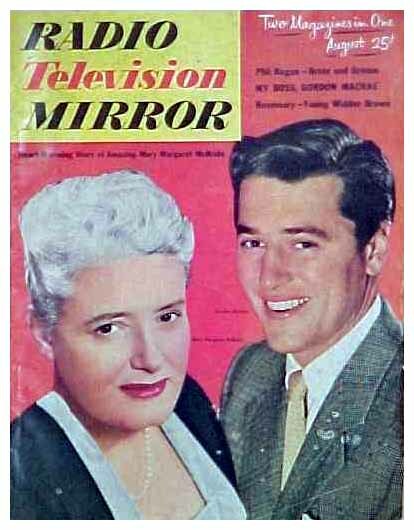 August, 1951 cover of Radio Television Mirror. Radio personalities such as Mary Margaret McBride (1899-1976) are not as well known today. Originally employed as a print journalist, McBride hosted an extremely popular daily radio program during the late 1930s, 1940s, and 1950s. Her audience was composed mainly of women. Her show mixed spontaneous interviews with notable guests, many of whom were women, and useful information with a heavy dose of advertising targeted at women. Topics discussed on her show included prostitution, unwed mothers, marriage in the modern world, and pioneering women. The program offered an alternative to the afternoon soap operas and demonstrated that women’s interests ranged beyond cleaning tips and recipes. McBride maintained complete editorial and commercial control over her program and in doing so made lasting changes in the style of radio talk shows.